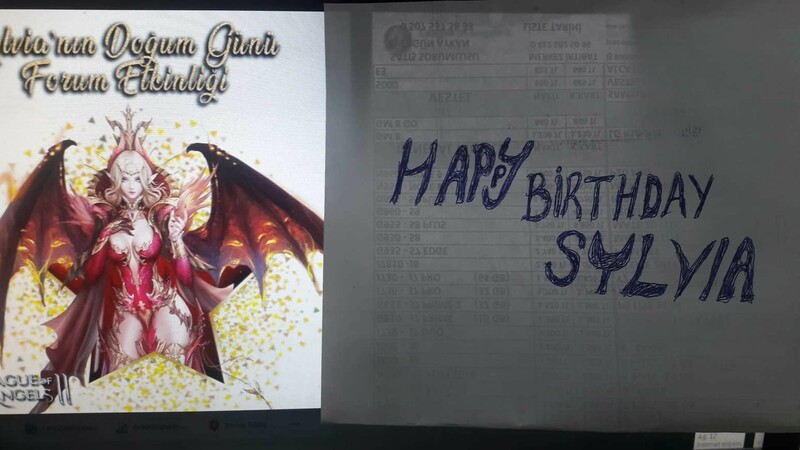 We wish to celebrate her birthday with amazing cards from you! So, please join us to make her happy! What you should do to join the event? You need to get a paper and a pen! After that, you need to write your best wishes for her birthday! Is it done!? NO~! You need to take a photo with your paper and Sylvia (in-game) and upload here with a comment. 1. You need to add your birthday photo in your comment (It can be as a link that's uploaded). 2. Your IGN and server. Please remember, do not send your comments with the quick reply. If you send a quick reply, it might be nonvisible. 1. You can join the event with a comment/image per account. 2. Same images won't be in the raffle. 3. There will be 5 winners. And winners will be chosen randomly. greetings to Scorner Sylvia......... Happy birthday!!! 2019-4-21 03:02 GMT+8 , Processed in 0.069871 second(s), 56 queries .